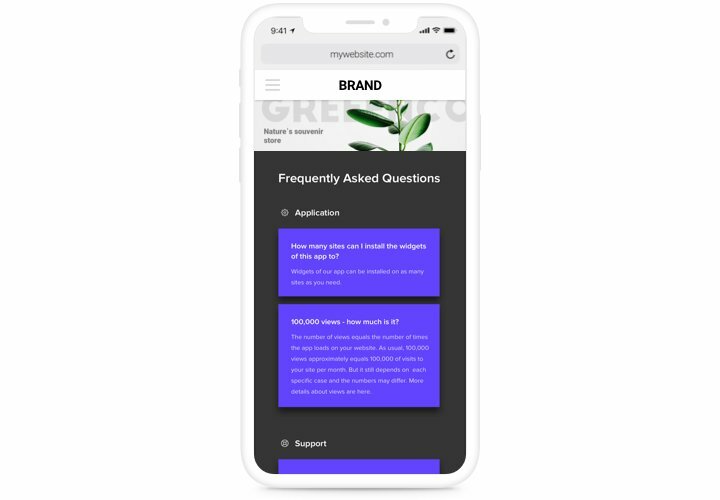 FAQ is a handy and easy to use and adjust tool to make and demonstrate a unit of the most asked questions with answers on personal site. An adaptive plugin with uncomplicated navigation allows you to provide comprehensive info about your services, concentrate users’ attention on positive features and eliminate any possible fears and disbelieves, which can hamper purchase. 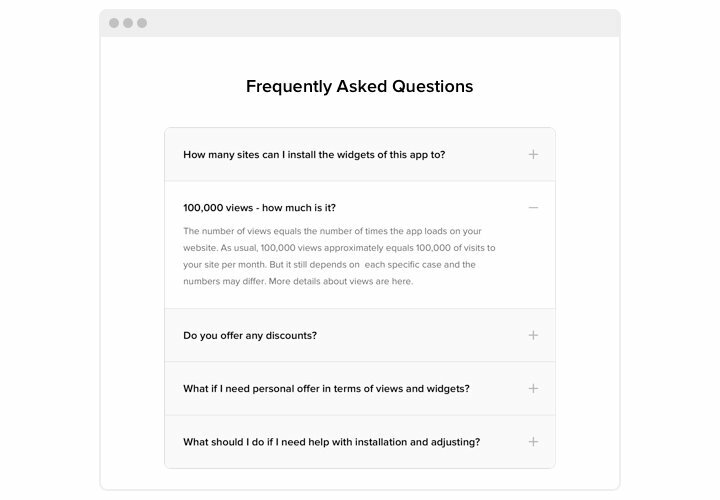 Answer appearing questions of your users in a flash and boost sales on the website! Combat all hesitation of your users and uplift your revenue. Publish full info about your goods or services for your customers, to eliminate all possible distrust and raise conversion on the site. Construct an optimum image of your company among clients. Give your clients the right understanding of your brand and commercial processes, to remove any doubts for partnership. 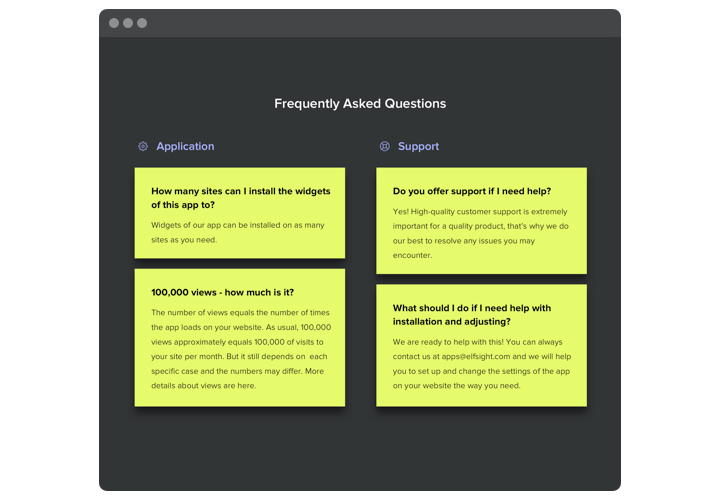 Help with any questions to your users immediately. Allow your readers read the most extensive data about your goods or service and solve any queries before they come up. 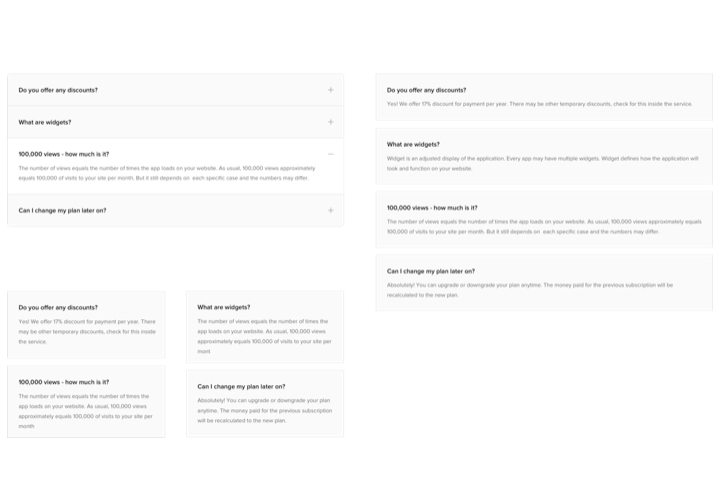 The basic characteristics of the Elfsight plugin, which make it the handiest method to publish FAQ on Adobe Muse website. 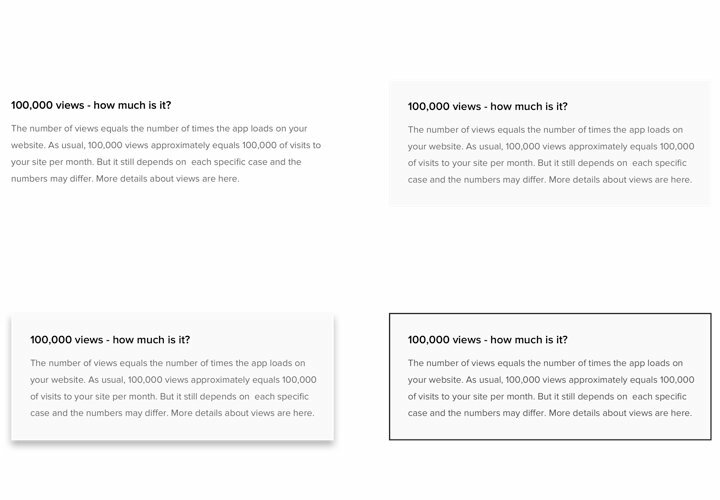 Publish a plugin with the help our concise tutorial. You don’t need to have knowledge in web development, or to hire a developer. Complete installation time is 70 seconds. With the help of our free configurator, generate a plugin with preferable design and functions. After widget tuning, acquire a code from the appearing window on Elfsight Apps. Embed the plugin on Muse website. Embed the plugin to the needed spot of the page and save the results. You fully accomplished the installation. Enter your website, to check your plugin. Having issues while using the instruction? Notify our support center or get to know the full version of the tutorial «How to add FAQ to Adobe Muse» and complete the installation on your own. 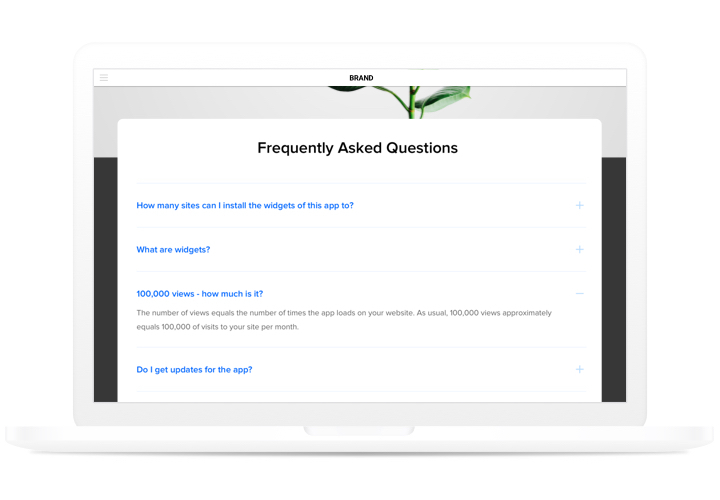 Construct Muse FAQ plugin in just 1 minute!